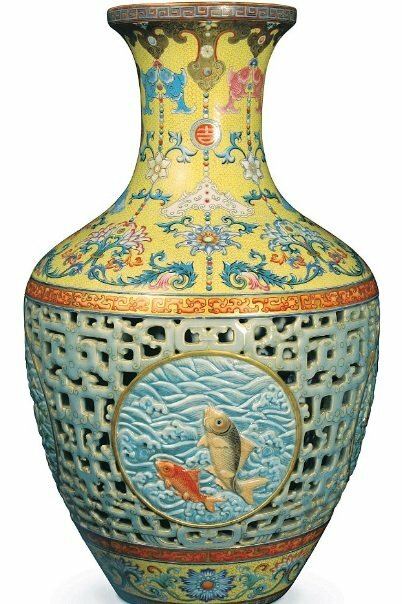 Sellers of an 18th Century Qianlong-dynasty porcelain vase have yet to receive the money raised from an auction last November, The Telegraph has reported. The vase, found during a house clearance in suburban Essex, is the ultimate ‘cash-in-the-attic’ tale for the seller, as the vase was found in a deceased relative’s loft and sold for approximately £53 million. However, the sellers found the 16ins (41cm) double-walled vase and stored it for a while on top of a crooked bookcase. The auction was held last November and the auctioneer, Peter Bainbridge, closed the sale so hard that he smashed his hammer to pieces. The winner, an “extremely wealthy” industrialist from China, has yet to pay the multi-million bill for the vase, but experts say that delays between purchase and payment are normal, especially when trying to raise a vast capital for the item. If the sellers receive the payment, they will be propelled into the top 2,000 of Britain’s rich list, instantly giving them the wealth comparable to that of model Kate Moss.